It's the 1950's and the orphans of Halfpenny Street have found a new home in the Essex countryside at Halfpenny House. Meanwhile, back among the slum clearances of Bethnal Green, St Saviour's has now been partially given over to a home for disturbed girls though it still serves as a reception centre for local children who are in desperate need. Amongst these are Archie and his sister June. 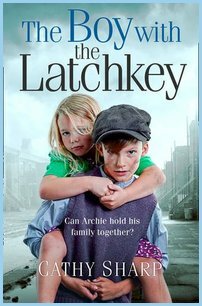 They've been ‘latch key’ kids; fending for themselves while their caring but harassed and careworn mum tries to make ends meet. Now she's been accused of theft and prison seems inescapable. Archie has no intention of letting his mum go down. He knows she’s innocent and will do anything to prove it. But can he help his mum before adoption, and the authorities, take him and June away forever?